Organizations usually need to scan OMR sheets in very large quantity. Machines used for scanning few years ago were quite expensive and have lot of additional as well as maintenance charges. Such machines work only on special OMR sheets which need to be printed through special printers. This was another factor that significantly contributed in boosting the cost. The need of OMR scanning machines has been completely eliminated with the introduction of the OMR sheet scanning software. The good thing is OMR scanning price and models is not a reason to worry. A user has freedom to consider any model of scanner when it is the matter of scanning the OMR sheets. This advantage is available only with the software technology. The scanner and the software are not linked with each other directly, and any limitations posed by the working of one does not affect the functionality of another. Scanner keep storing images in PC after scanning at a specific location and the scanning software process them all one after one. As a user, you don’t have to worry about OMR scanner price and models with this technology. Different scanners come with different price tags, and a user is free to choose them as per their need or budget. For those who have to scan a large number of OMR sheets, say thousands of them, it is advisable to buy automatic scanner. 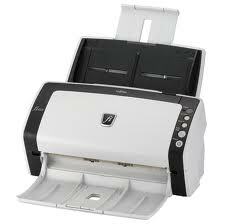 The prime benefit of this scanner is it easily scans a number of files simultaneously and thus saves a lot of time. There are a few scanners in which number of sheets can be placed and they often scan them within a short period. Depending on the model and the speed, it is possible to scan up to 40 sheets per minute. Automatic or ADF scanner's price range varies from 26000 to 36000. It can be more with scanners having extra features. Where affordability is of no concern, it’s recommended to buy scanners that can scan up to 120 pages in a minute. In case the overall number sheets to be scanned per day are limited, any flatbed scanner can be considered with closed eyes. As compared to automatic scanners, they are available at a low price. It must be noted that their speed is less than such scanners and they are ideal for a limited number of OMR sheet scanning. It makes sense to but the one that fits your budget and needs. There are several brands to choose from and almost all of them are good enough to be trusted. * Prices and features mentioned above are approximate and may vary or change as per manufacturer.